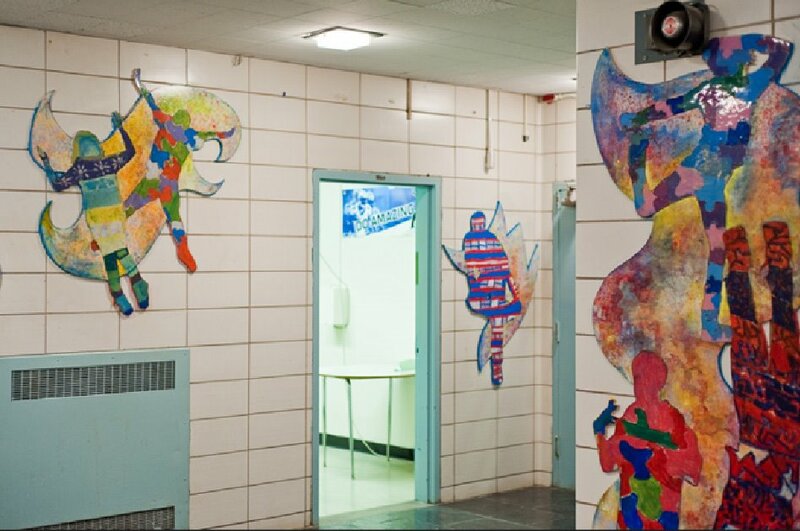 This is a permanent art installation created by 6th and 7th graders for the front lobby at the Urban Assembly Academy for Civic Engagement in the Bronx, funded by Met Life's Art in the Schools project. 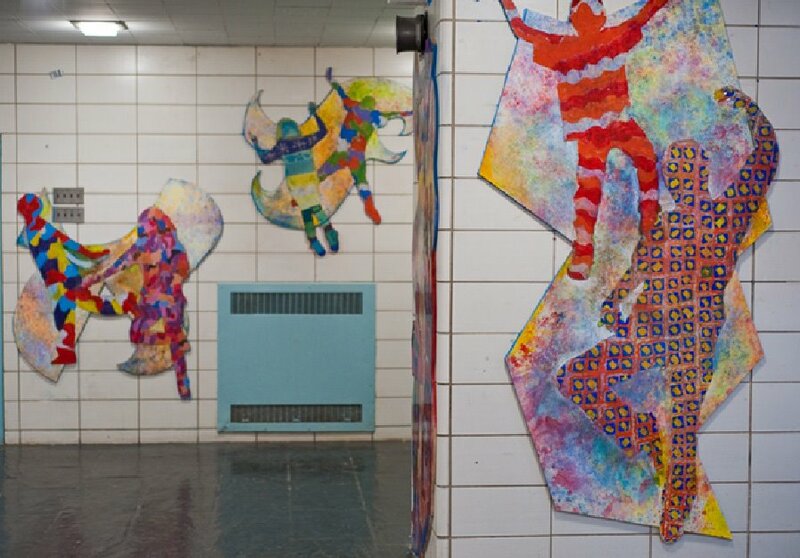 These students have no regular art instruction, so it was a challenge to help them make something was an authentic expression of who they are, without the foundation of basic art skills. They helped each other pose while I photographed them against an improvised green screen. I silhouetted the photos in photoshop, and then they traced them onto clear vinyl with the help of a digital projector. They painted the patterns on the reverse side with acrylic paint. In the end, I think we came up with something that truly reflects the energy and visual thinking of the UAACEstudents who contributed to this project. Thanks so much to Partnership Coordinator, Angela Jack, Principal Cameron Berube, School Counselors Shavon Eveyln and Raymond Warren, and everyone at Studio in a School, for giving me the opportunity to work on this project and for making it all possible. And thanks, students, (especially the after school girls who really put in the extra effort) you did an amazing job. One student said, at the final celebration in June, "This project took us to places in our minds that we had never been before." As soon as she said it, I realized that was the whole point.